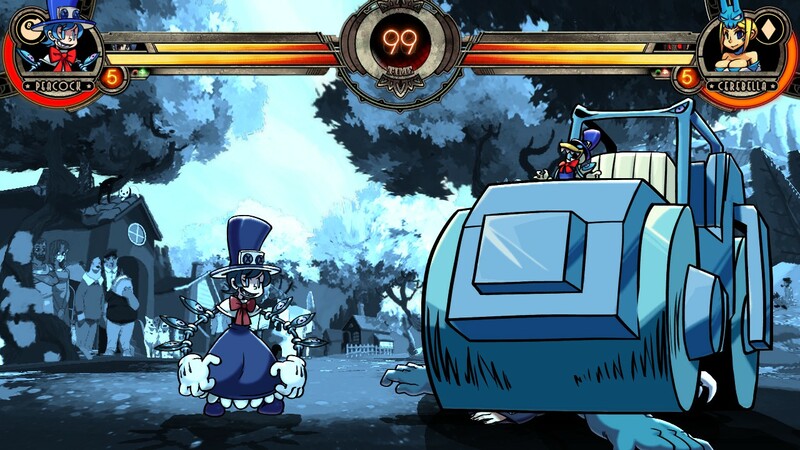 Nice... 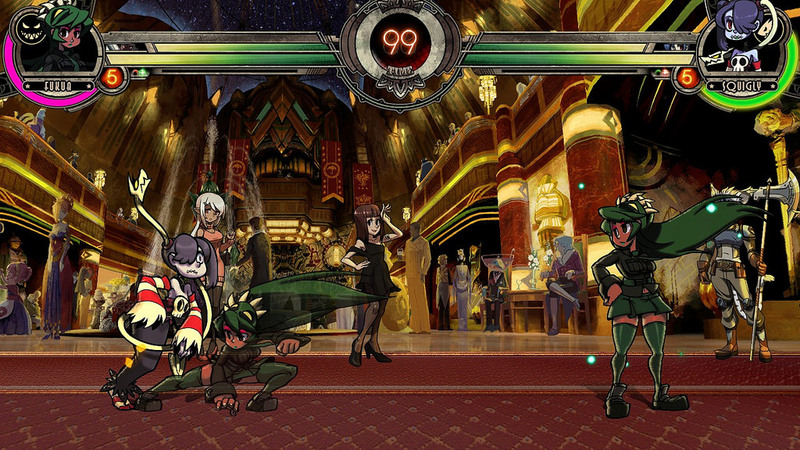 I approve of these "brighter" stages thrown in the mix. PREVIEW: In the later half of 2013, Lab Zero Games went through severe difficulties while submitting patch updates for Skullgirls due to problems involving their relationship with Konami. 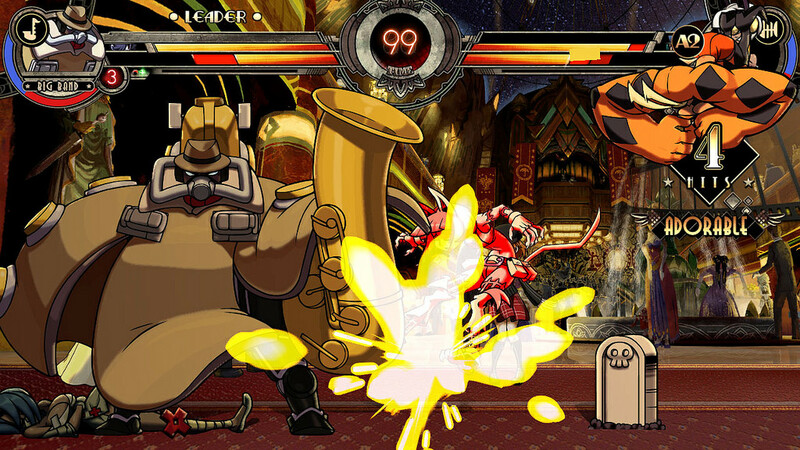 In an attempt to expedite the patching process, Lab Zero severed legal ties with Konami. On December 31st, the original Skullgirls was removed from PSN and XBL while the game transitioned to new publishers. 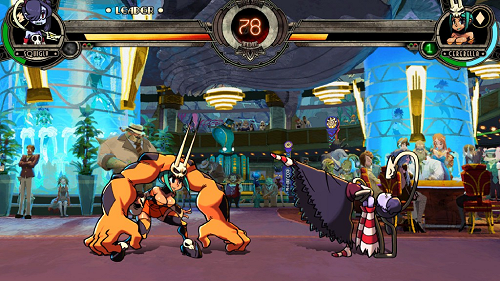 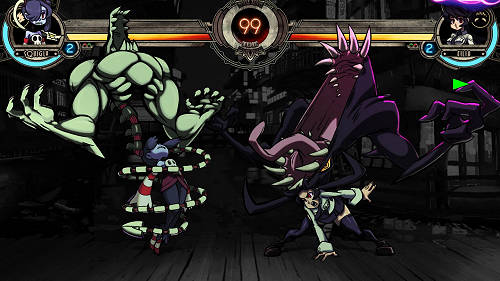 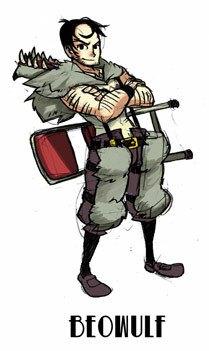 The game returned as Skullgirls Encore, marking the beginning of the era funded by Lab Zero's Indiegogo campaign. 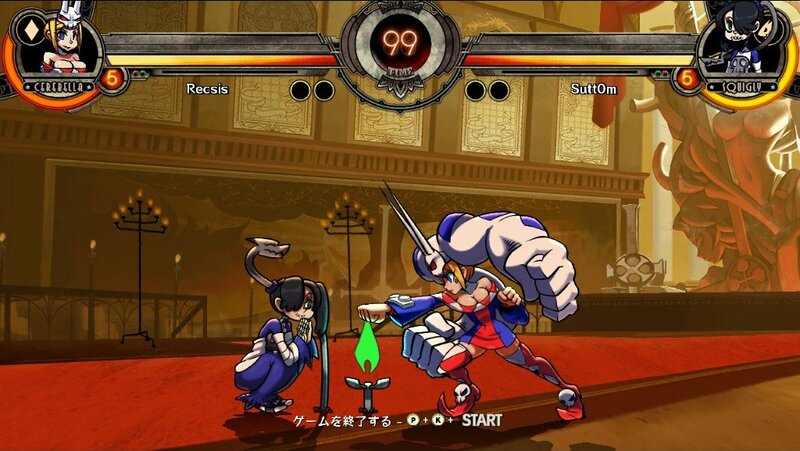 The first new DLC character was Squigly, and she was followed by Big Band, Eliza, Beowulf and (soon) Robo-Fortune. 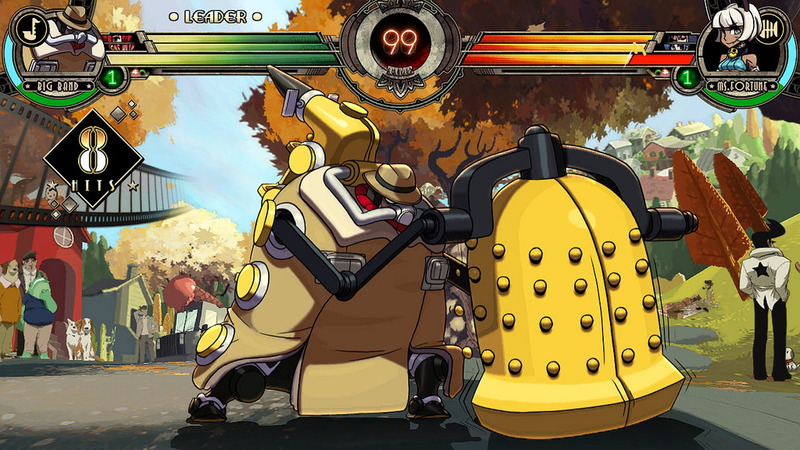 Skullgirls Encore features a variety of updates and changes. 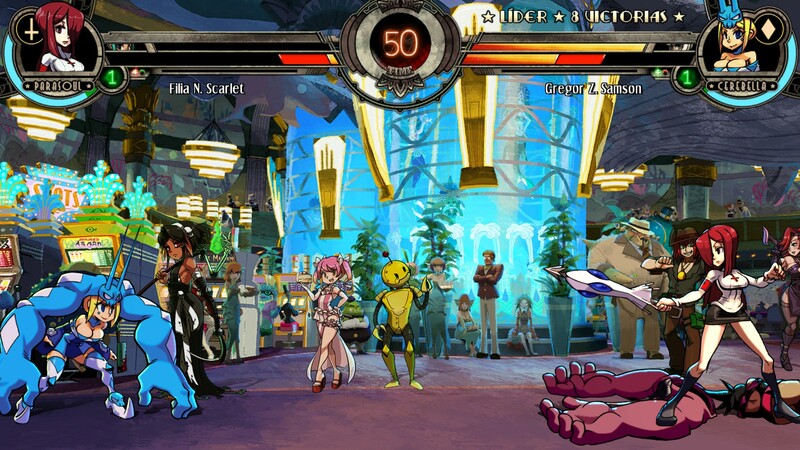 For starts, Encore features 3 brand new hand-drawn stages, including: River King Casino, New Meridian Rooftops & Rooftops Assault. 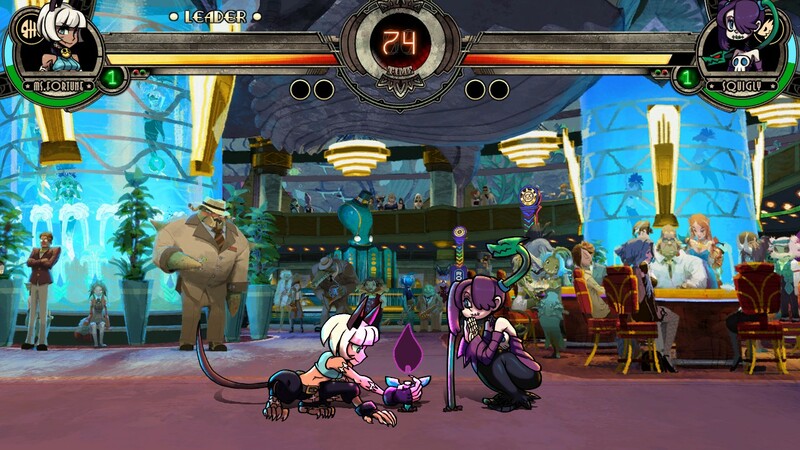 The bizarre "Typing of the Skullgirls" mode is also new in Encore, where players can actually play with a keyboard, typing words as they fight it out. 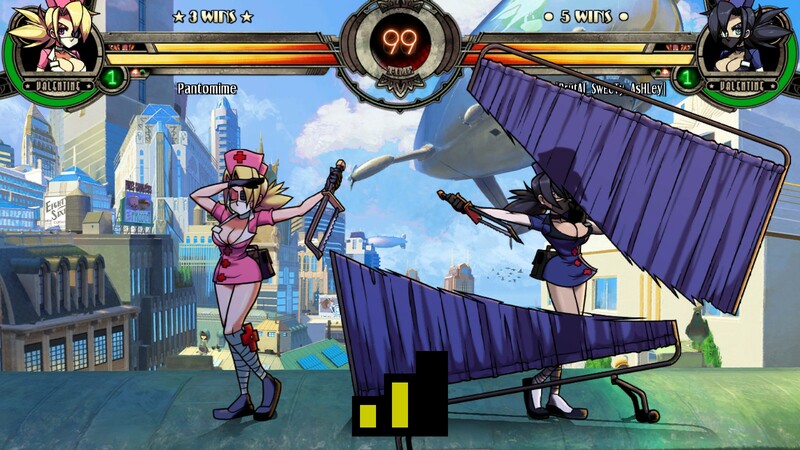 Some visual updates include palletized hit effects & HUD select portraits, and improved animation on the "Encore Performance" screen. 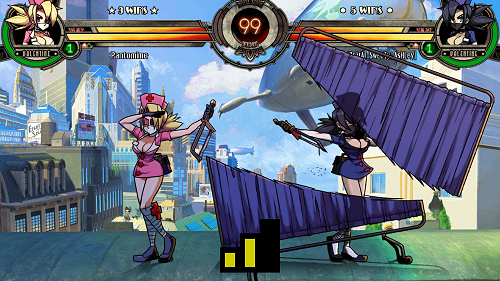 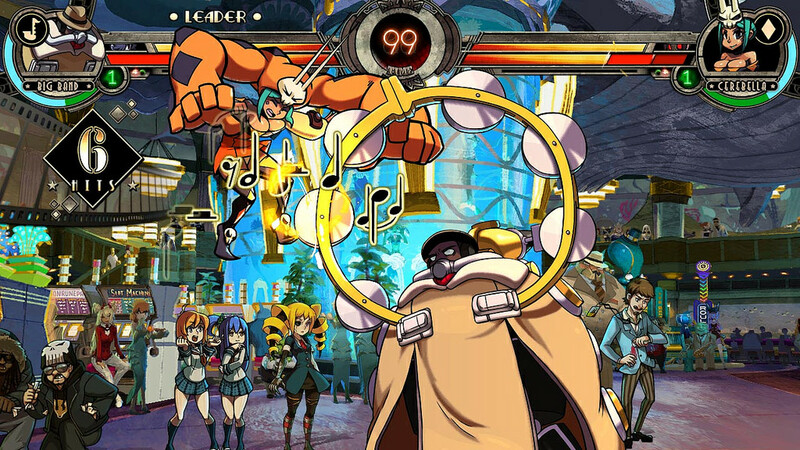 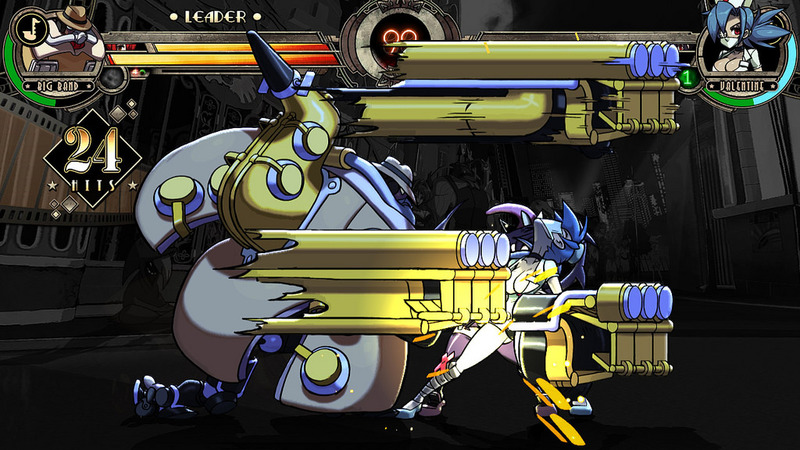 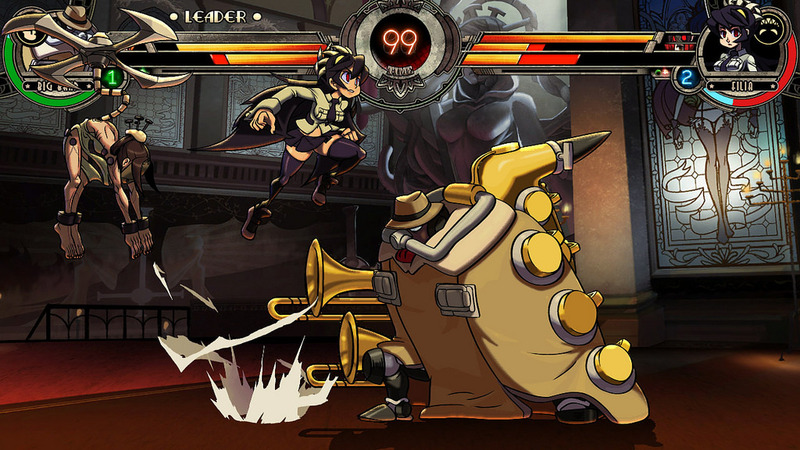 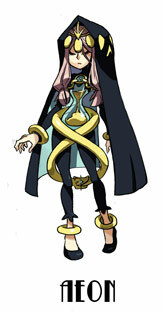 A slew of gameplay and balance changes were also implemented into Skullgirls Encore. 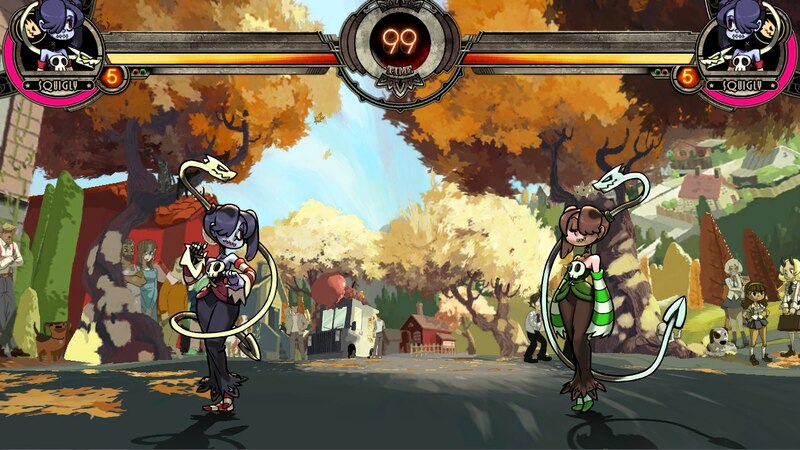 Squigly is the first of the DLC characters to join Skullgirls Encore. 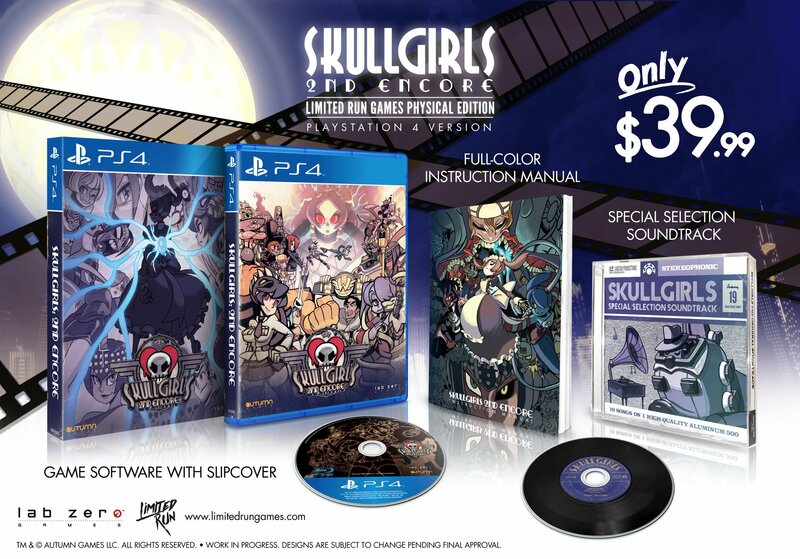 Skullgirls: 2nd Encore is the final enhancement, released on Playstation 4 on July 7th, 2015. 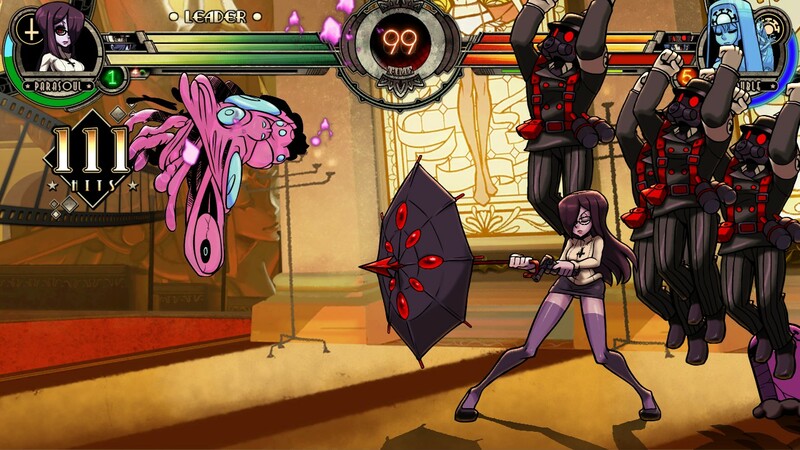 2nd Encore features all previously released DLC characters, stages, and new modes. 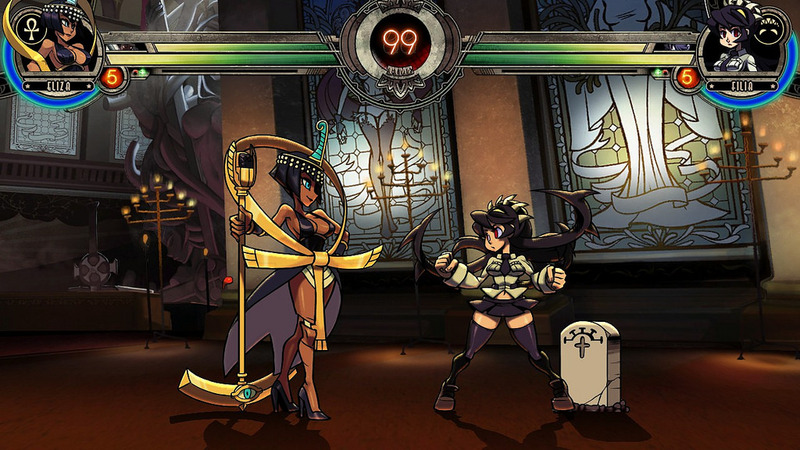 The PS Vita version of the title is cross-buy, so owners of the PS4 version will receive the Vita version for free. 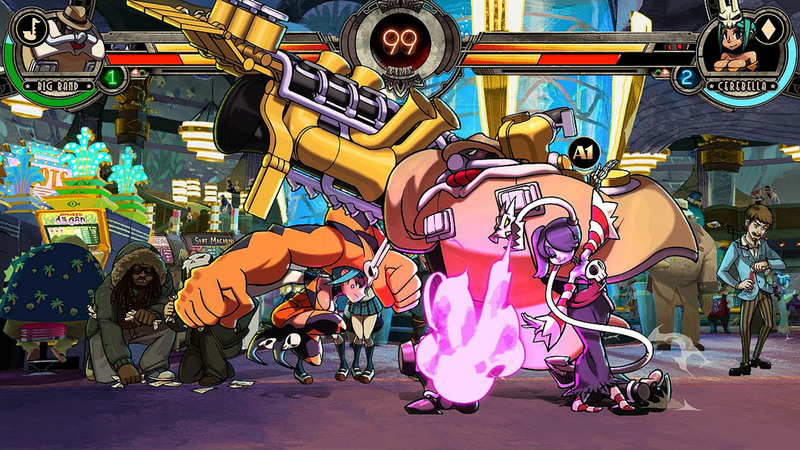 Along with the new characters, 2nd Encore includes a fully-voiced story mode, new challenges, trials & survival mode, plus trophy support. 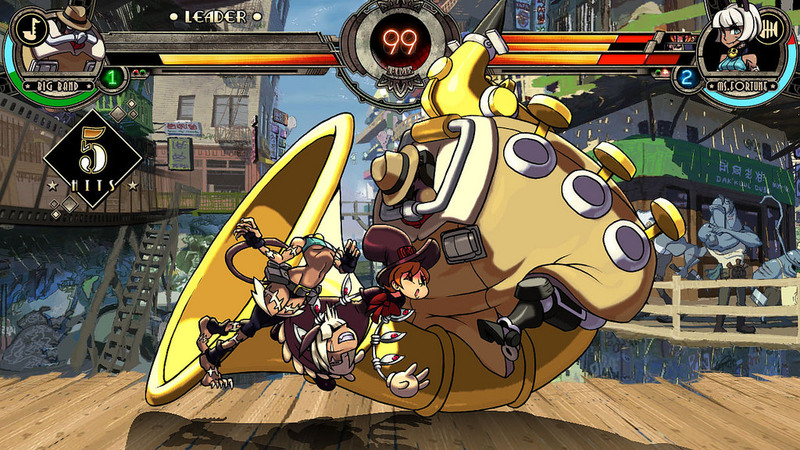 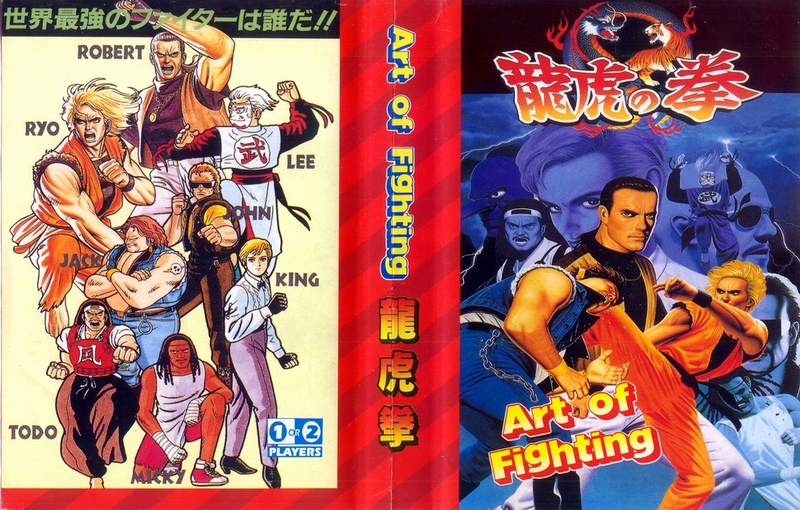 The title also features cross-play with PS4/PS3 versions. 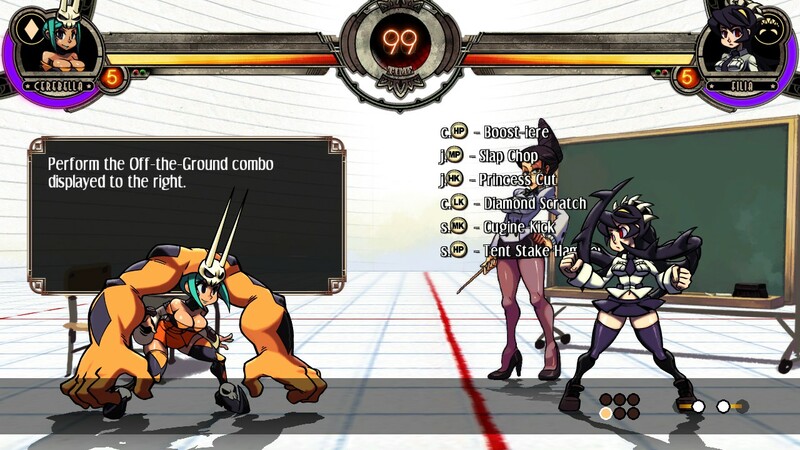 For the PS4 version of Skullgirls: 2nd Encore, Lab Zero was able to create a driver that enables legacy controller support (later used by other fighting game companies), which allows PS3 fightsticks & controllers to be used on PS4 exclusively for the game.